I guess I feel like I have a little bit of a thing for squares. (My wife would say my tool collection issues don't really stop with just squares, and I guess I can't argue but that's besides the point) In the pic above I spent about five minutes just grabbing the squares I have within easy reach of where I like to stand at my workbench. So these are just the ones I use "all the time"
I guess my real point is that you'd think I would be pretty content, and you would be dead wrong. 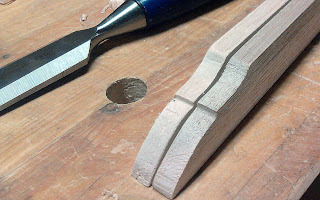 I have stayed away from drinking the wooden square kool-aid for awhile, but then I saw Chris Schwarz blog about a wooden square he found on Patrick Leach's monthly email of tools for sale. Whether it's the proportions, the detailed shaping, or just the subtle elegance of the piece, I knew I'd been had and I was going to head down the path of wooded squares. I have heard some folks scoff at wooden squares, and I understand their issues with durability and the fact that there is no way I could build a square within a .00001 tolerance of square like a steel manufacturer could, but take away from the wooden square small advantages like the fact that it is a lighter weight and that it has no hard metal edges to ding or bruise the wood it's being use on. In the end The advantage of a square like this is that you built it yourself, and you will know this tool, inside and out, better than you will ever know any tool you've bought off the shelf. The other things are what you learn along the way while you are building your own tools. You get to know them better by building one. I've made myself a couple of different tools over the past few years, not jigs but actual tools. The one that gets the most interest on here is the staircase saw I built awhile back. In order to build your own anything you have to do one really important thing. You have to think about it. You have to think about it and make some conscious decisions based on those thoughts. What's comfortable to you? What seems to work well? What angles make it work right? What is the danger of making it work poorly? All those things and more, and even just this exercise of thinking your way around the details of a tool will probably make you better with that tool. It's a common woodworking piece of wisdom that you should check over and do maintenance on you power tools at least once a year, it's like changing the batteries in your smoke detectors at home. Blow out the sawdust from hard to reach places, check the blades for alignment, check fences for square, and maybe add a layer of paste wax to keep the corrosion off the table. 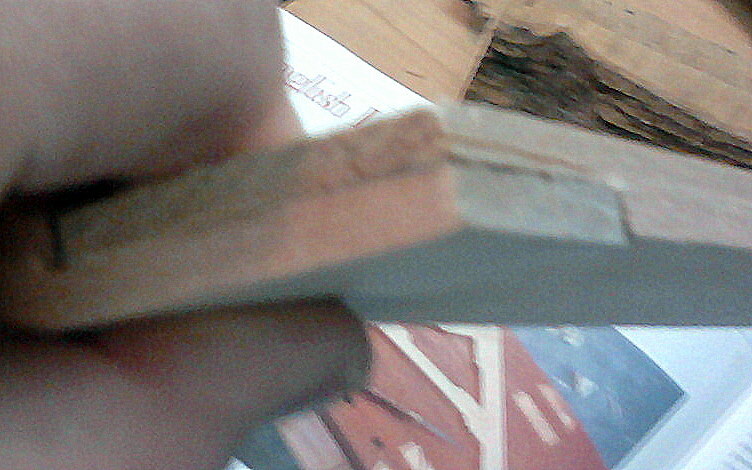 Now with hand tools, at times the maintenance is a constant, You sharpen the plane or chisel blade when it needs it. You apply some wax to your handsaws after every use. (I really try to but my shop has some moisture issues, maybe you're luckier than me). Hand tools rarely require one big day of TLC, they ask for it in little bits and pieces along the way. So in the place of the annual or biannual maintenance day, I feel that anyone with a real connection to hand tool woodworking spend a little time at least once a year, and build a tool from either scratch or from parts. Whether you build a Krenov plane from a kit, or a turning saw, build your own scratch stock tool, or just make some wooden handles to replace those crappy plastic ones from the store. It will give you a little more meaning, a little more connection, and a little more understanding, and all three of those are pretty damn good things. Just about now I decided to build a couple sets of different wooden squares. Now for less words and more pictures. Taking the 1X4 mahogany board I cut it to length for the first square and then used a marking gauge to set the widths Ii wanted. You can see that my marks left some "wiggle" room in the center so as I ripped the board with the hand saw I could just get a move on and plane out any wavers of issues later to get the boards to exactly the same width. I used my band saw to resaw the boards in half, I then planed them smooth. Down to around 3/16ths thick in the end. 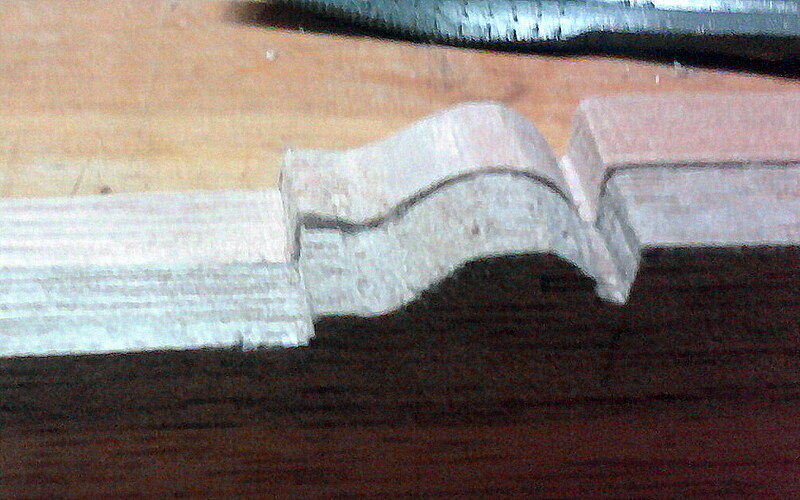 I chose two of the boards for the arms of the square and set about cutting the half lap joint for the corner. Here I'm testing the fit of my cuts. A little planing and they were smooth. I then used the pattern from the Popular Woodworking article to draw out the details to cut in the arms. The stock I used ended up narrower than what the "plan" calls for so I was not able to just trace the details on, Instead I used some a calipers, pencil, and ruler to layout something very, very similar. I cut it on one arm, shaped it with some rasps and a card scraper, then I laid it on top the other arm and traced the outline. I used the same process to create this little detail up towards where the arms join. I have to be honest, I think this detail is the repeated interest that sells this piece to me. I then went to the glue up of the arms knowing that it would be easier to size and joint the cross piece if the arms were stable. In order to try and save some work later I used a carpenters square to help in the glue up. In the end I'm not sure it really helped all that much but I guess it was worth a try. Well I think that makes a long enough article for one post. I will be back in the next few days following up on the process and talking about what else I began to cook up while building "just one square"